Rachel's comment about confusing the spanish for "butter" (mantequilla) with "lard" (manteca) reminded me of a similar issue for me. I have no ear for languages, hundreds of dollars have been spent of various language courses, with not result. Considering how much I travel (or did) this can be a problem. 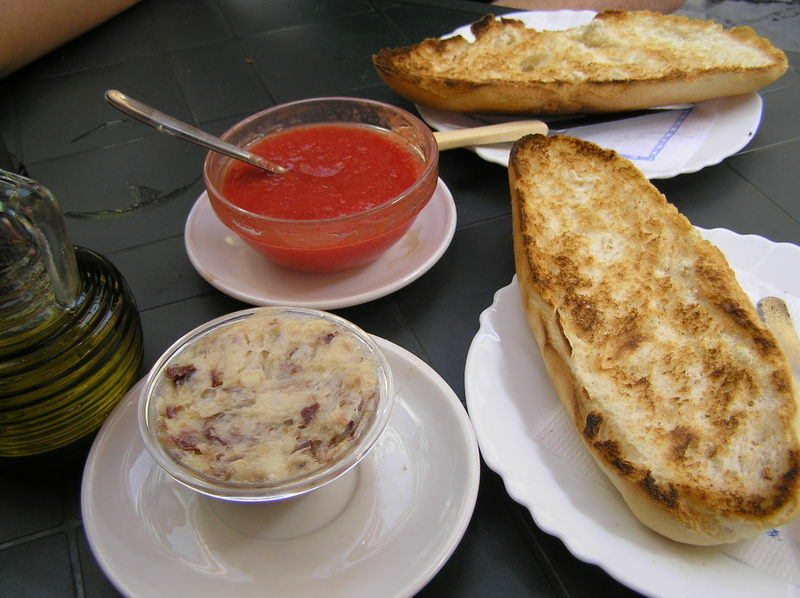 In Sanlúcar de Barrameda they served a fantastic breakfast down near the market, crusty toasted rolls with a toppping of your choice. One fantastic choice was the fat from cured hams, rendered down then whipped until light and fluffy and studded with chunks of ham. Lovely spread on toast and dressed with freshly crushed tomatoes. Try as I might to say "manteca", I nearly always ended up being served "mantequilla". 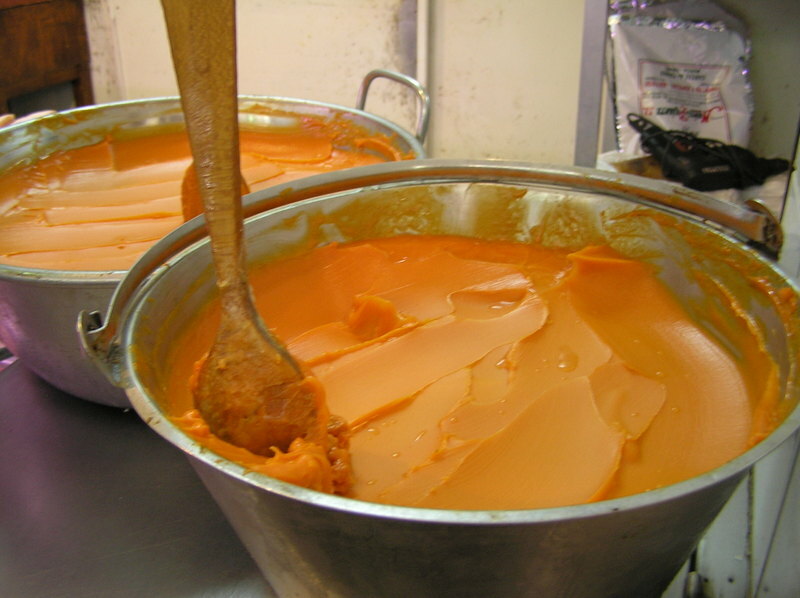 Another very popular rendered fat in Andalusia is "manteca colorá" (coloured lard). Also a common choice as a spread for breakfast toast, it is sold in huge tubs in the local markets. From the flavour profile I would guess it is flavoured with bay leaves and marjoram. The colour I would like to think come from pimenton (paprika), maybe made from the excellent sweet nora peppers, but maybe not. 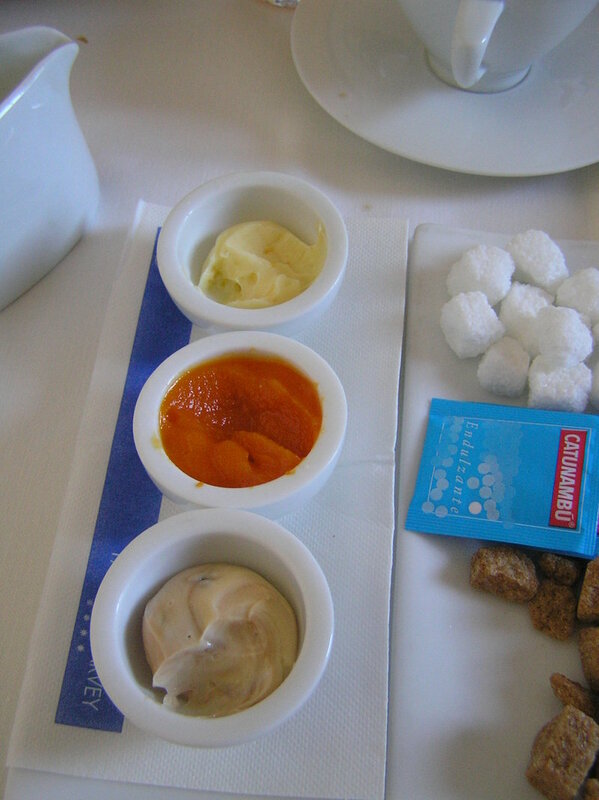 Interestingly, at a more up market hotel in Jerez the breakfast toast was served with a selection of spreads which played with the local "manteca" choices. While it may look like butter, manteca colorá and whipped manteca as described above, it is actually butter, carrot conserve and whipped honey. 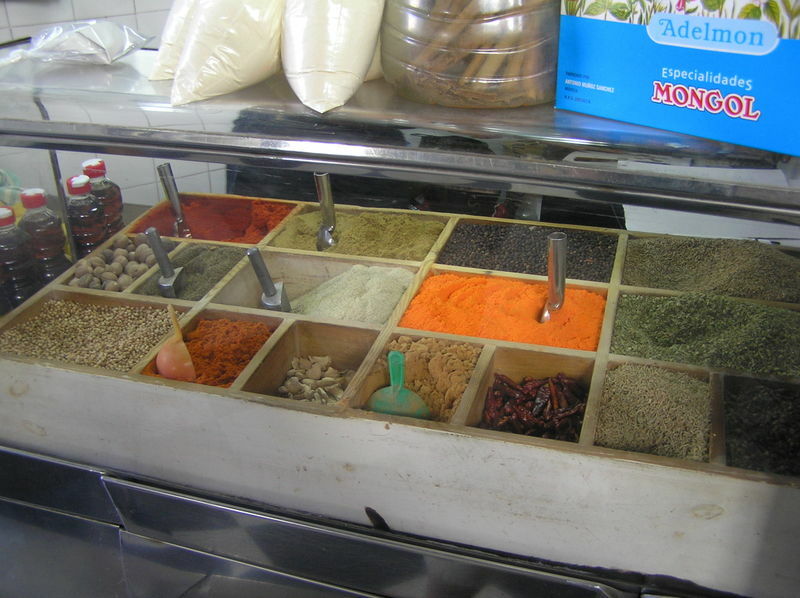 One last thing that you may not see mentioned in any Spanish cookbook for English readers. A lot of that bright orange-yellow colour typically of Spanish cooking comes not from saffron or pimenton, but comes from an artificial dye. You can judge how popular it is by the volume it (bright orange powder) takes up at this stall in the Jerez market. There is no stigma attached to using this product locally.